An assassin dares to take shelter within these castle walls. The royal guard must make haste. Let us reveal to this intruder the truth of our valiant repute. 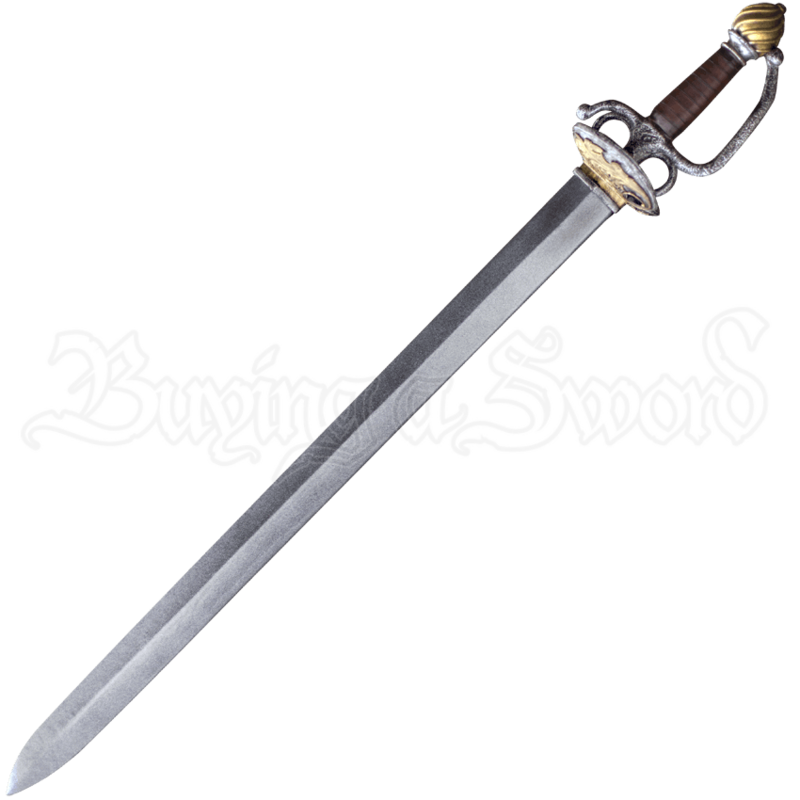 Take hold of the Musketeer LARP Small Sword and put an end to the fiend. Elegantly curved quillons and a leather wrapping enhance the grip of the hilt. Golden floral patterns accent the guard. From the double-edge blade to its beautiful pommel, this historical fantasy rapier features stunning hand painted detail. Crafted from closed cell foam around a solid fiberglass core, this LARP sword is finished with a strong latex coating. No invader may slip from your grasp with the Musketeer LARP Small Sword at your side.